Remote monitoring of health problems for congestive heart failure (CHF) patients saves money and makes users life much easier, according to an article published in The Wall Street Journal. The article stated that technology – which allows heart patients take readings like their weight, blood pressure and other key metrics using wireless and other technologies - is gaining traction. The paper gave the example of Carolyn Brown, a 63-year-old retired teacher's aide from Bronx, N.Y., who started using a new monitoring system after she suffered two heart attacks. The program puts a scale, blood-pressure cuff and glucose monitor into patients' homes and then collects the data daily via wireless or landline. The data is transmitted to a case manager or medical care giver allowing them to catch, and address, warning signs before the patient lands in the emergency room with shortness of breath or a heart attack. 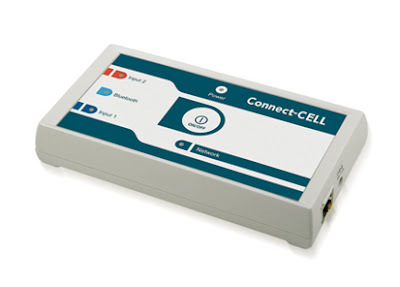 The featured equipment includes Aerotel's Connect-Cell, which is a Cellular-Based Homecare Data Hub enabling users to easily transmit vital signs data via the cellular network (GPRS) to a central monitoring center. The New York City Health and Hospitals Corp., says it pays about $6,300 for a Medicaid heart patient's typical hospital stay while the cost for the remote monitoring system is only $626. "It is more important than ever for health plans and patients to combat medical costs, growing at a clip of between 6% and 9% a year, according to various estimates," the Wall Street Journal said. "Heart failure is a leading cause of hospital readmissions, with about 25% of patients returning to the hospital within 30 days. It's also one of the biggest single claims expenses at insurance companies. Aetna estimates that 40% of readmissions are avoidable". The paper added that, a new study of 1,450 patients that published by Circulation, the journal of the American Heart Association, showed that implantable defibrillators that wirelessly transmit data on the patient's heart function reduced in-hospital evaluations by 45%. Suspected cardiac events were evaluated in less than two days compared with 36 days.